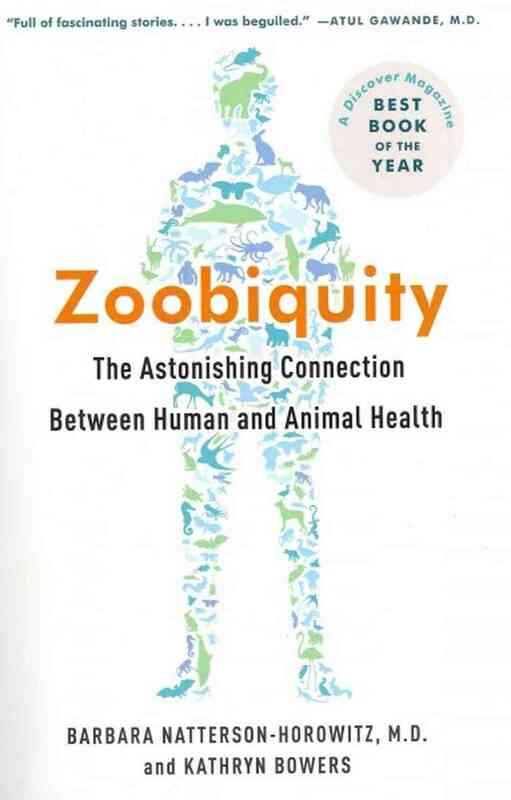 Zoobiquity: The Astonishing Connection Between Human and Animal Health by Barbara Natterson-Horowitz, M.D. and Kathryn Bowers is an interesting blend of mind-blowing similarities between species and interesting storytelling. If you run with a lot of effort over a longer period of time then the benefit is exponential (to a point). If you you run with little effort in a short period of time then you won’t have smaller, negligible reward. Talking about fat animals – “Antibiotic use can change the weight of farm animals.” This happens because of the alteration of gut flora (think acidophilus) (pg 193). Talking about fear of feeding -“…when intimidation goes up, animals may restrict where, when, and what they eat.” Veterinarians call “encounter avoidance” and “enhanced vigilance” can create anxiety and have something to do with eating disorders. (pg 236) Figure out the “wolves” in the person’s life (pg 248), which refers to how elk changed their eating behavior when wolves were reintroduced to Yellowstone Park.